It is a not a pretty picture for California’s landscape as large wildfires continue to consume our resources and destroy our homes — and worse. Here is my report representing ModernJeeper from this historic meeting. 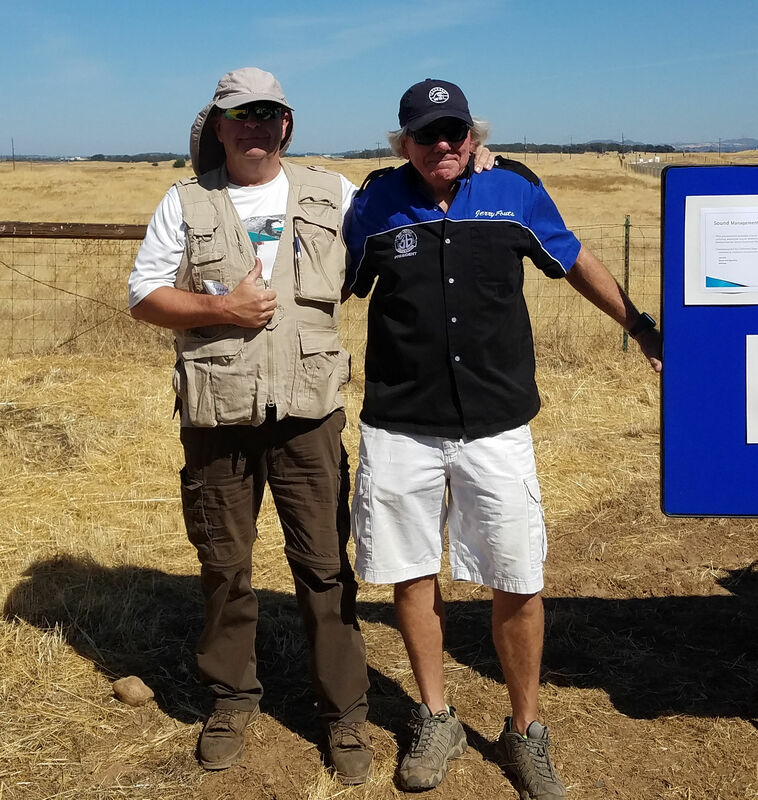 The ongoing devastating impact of “megafires” on life, property, and recreation opportunities was a featured topic at the recent California Department of Parks and Recreation Joint Commissions Meeting and Tour held on September 27 and 28, 2018 in the greater Rancho Cordova/Folsom area of California. 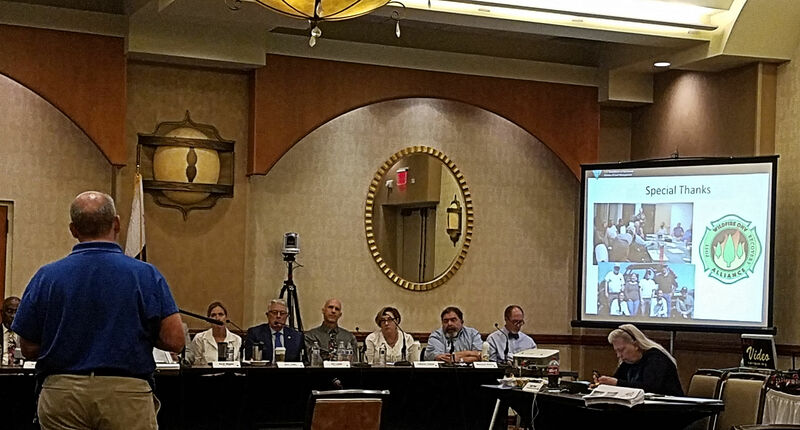 Not since 1982 has the Off-Highway Motor Vehicle Recreation Commission, State Historical Resources Commission, State Park Recreation Commission, and the Boating and Waterways Commission met together. Truly historic and of critical importance to all jeepers and OHV enthusiasts, as well as homeowners, this meeting was one of a kind. 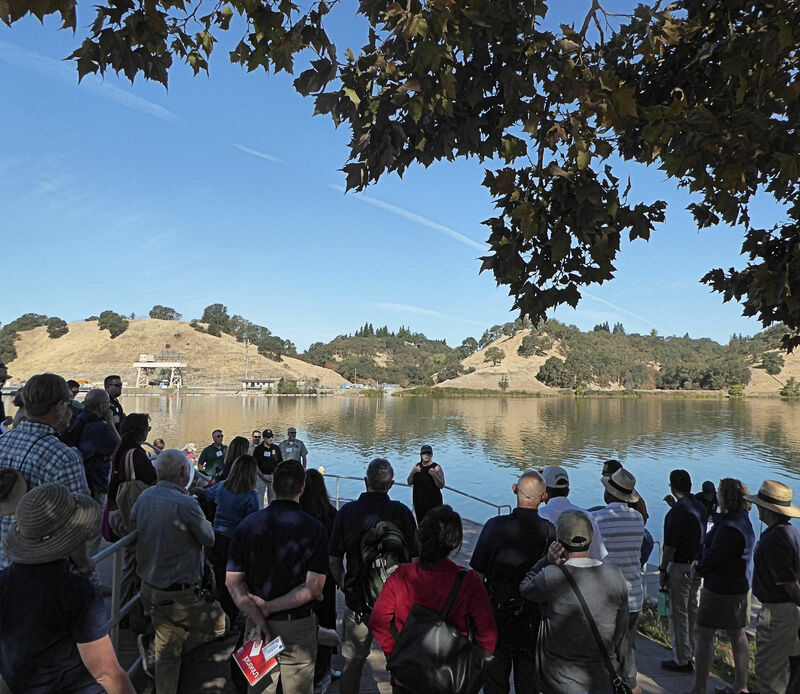 The two-day event included field tours at various motorized, non-motorized, State Recreation Areas, state historic park units and a full-day meeting where shared values were reviewed and important recreation management issues discussed. State Parks leadership and resource officers highlighted their efforts to enhance current and new wildfire-related mutual aid programs. 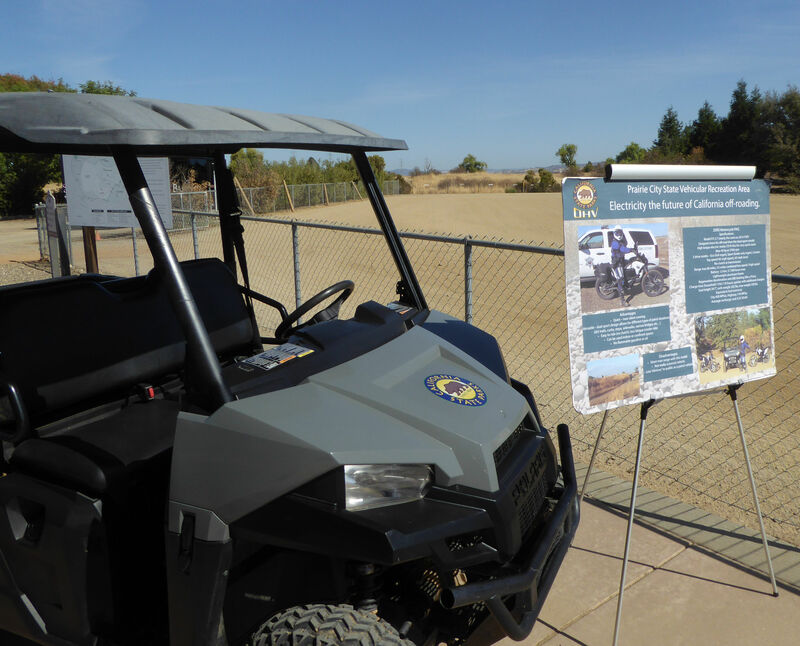 These programs utilize State Parks staff and equipment to assist sister agencies and the public deal with evacuation orders, shelter, safety, and law enforcement needs. 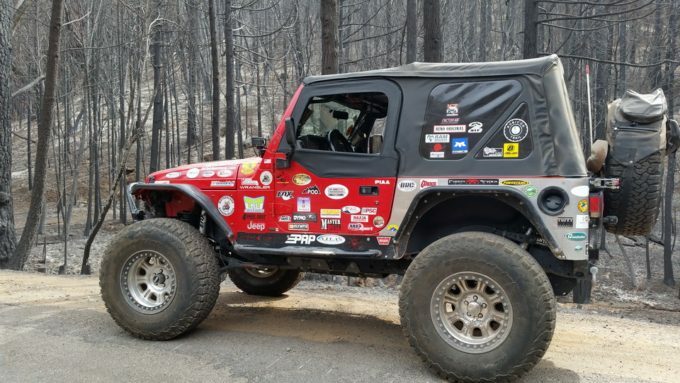 After the wildfires, ModernJeepers will need to volunteer as well. State and Federal officials also spoke about new programs to help address post-wildfire recovery efforts and the need for government to work with their partners in a collaborative manner to rebuild local communities, rehabilitate recreation facilities, and protect cultural resources impacted by natural disasters. During the course of the two-day event recreation leaders from the Bureau of Land Management (BLM) and USDA Forest Service (USFS) talked with attendees about how partnerships with local volunteer groups and organizations such as the Post Wildfire OHV Recovery Alliance (PWORA) will have key roles in helping the agencies with various recovery projects. Soil stabilization to protect affected watersheds and exposed cultural resources along with trail repair and signing efforts are all projects where substantive volunteer programs can protect impacted areas before and during the winter rainy season and help restore public access to recreation opportunities. For the last 3 years, State Parks has been undergoing a re-organization process where they are looking at more cost effective ways to improve delivery of seamless high-quality recreation opportunities on local, state, and federal units supported by state funding or grants. New partnership opportunities are there. Stakeholder involvement, such as PWORA and others will be essential. Wildfires and other natural disasters are indeed our future. How we collectively respond to said challenges will define the quality and substance of the partnership between the private and public sectors. As ModernJeepers and OHV enthusiasts, we can and will have a say in how our off-road trails are restored after ravaging wildfires. Be sure to join us in PWORA on our website or Facebook page. Don Amador has 28 years of experience in the field of OHV recreation management and federal/state land-use policy. Don is president of Quiet Warrior Racing/Consulting, an OHV recreation consulting company. Don also serves as Core-Team Lead for FireScape Mendocino, a forest-health collaborative that is part of the National Fire Learning Network. Don is a contributor to ModernJeeper.com. Good job done by al!. We need to get on top and of this as it is all too easy for these trails to be erased off the map after a year or two. And, after that they are “gone” not to return. I think the new post wildfire recovery focus and partnerships between land agencies and volunteer non-profits will go a long ways to preserving access to high quality trail-based motorized and non-motorized recreation opportunities. after many years of mismanagement by the liberals n eco environmentalists. get ready if you happen to live in Cali like I do. it will only get worse till people living here come to their senses and vote Conservative across the board.